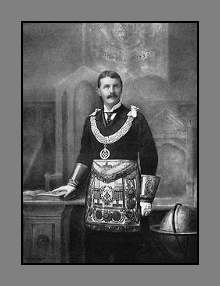 Brother Fred Whitehouse was installed as Master in February 1914, the occasion being marked by the presence of the Right Worshipful the Provincial Grand Master Worshipful Brother Fiennes Stanley Wykeham Cornwallis, accompanied by the Provincial Grand Treasurer. The customary ceremony for receiving and saluting our distinguished visitors was duly carried out. 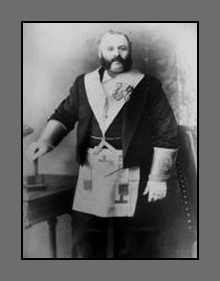 This same year the Lodge mourned the loss of Worshipful Brother William Wood Burkett who had rendered many valuable services to the Lodge during his 31 years of membership. A cursory glance through the Lodge minutes for the years 1914-1918 would incline one to say that we carried on as usual. We did continue to initiate, pass and raise candidates; but we did much more. Appeals for funds were numerous, local, provincial and national and it is pleasing to record out ready response in all cases. Amounts seem small; but we had not experienced serious inflation of the currency. It was in 1914 that the establishment of a Masonic Nursing Home was proposed, with the approval of Grand Lodge. This proposal was eagerly accepted and led to our Fulham Road Nursing Home, soon to give place to the Royal Masonic Hospital. In April 1915 Grand Lodge notified amendments to the Book of Constitutions which provided that no brother on active service should be excluded because his subscriptions were in arrears. 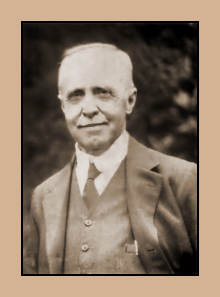 During the following year Worshipful Brother Edward Wilfred Barclay left Dover and the Lodge decided to mark their appreciation of his service to the Lodge, particularly his contribution to music. Meetings were often very late - 8 to 10.30 being common. Suppers were rare, though occasionally Lodge was 'Called Off' for refreshment. We did not grow appreciably during the war years; resignations were mentioned at many meetings. The Roll of Honour names four of our members, Brothers Joseph Bertie Friend (Jnr), Stephen Thomas Godden, Edward Kelsey Richards and Arthur Oswald Sherren and the minutes also record resolutions of sympathy with parents whose sons made the supreme sacrifice. The Brethren who occupied the Chair during the war years were successively Worshipful Brothers Fred Whitehouse, Philip Theodore Hart, Arthur James Worsfold, William John Peppin and Charles Wilson. It is interesting to report that in spite of many appeals due to the war we were able to send ten guineas to our local hospital. A communication from Grand Lodge declared it necessary that Brethren of German, Austrian, Hungarian or Turkish birth should refrain from attendance at Lodge for the duration of the war. Wise perhaps, but rather sad.